A recent article in the UK’s Yorkshire Post tells the story of two young women who have taken up the cause of bring more attention to their friend’s Borderline Personality Disorder. 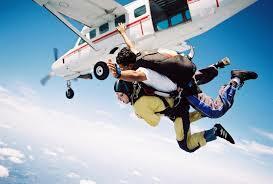 You could rightfully say to new heights – diving from an airplane! Best friends Eve Alexander-Pike and Frannie Hill plan to take their leap of faith to raise awareness of what they believe to be a poorly understood and neglected mental health illness. “The best friend duo have plucked up the courage to do the dive in honour of their close friend, who is currently being treated on a mental health ward for Borderline Personality Disorder. The girls say the condition is ‘such an under researched and unrecognised mental health disorder’ that they want to raise awareness about recognising mental health illnesses”.